New Delhi: The Vice President, Shri M. Venkaiah Naidu and his wife, Smt. 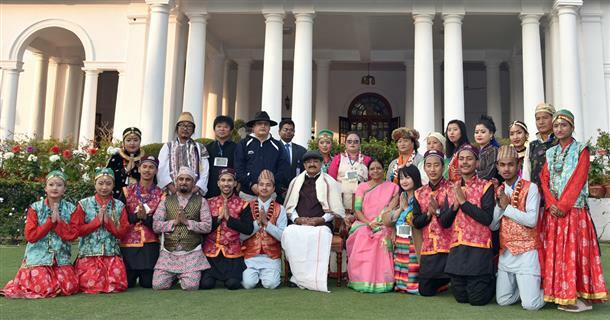 Usha Naidu witnessed folk and classical dances presented by Tableaux Artists who participated in Republic Day Parade from 10 States on the lawns of the Vice President’s residence, here today. The Vice President appreciated the artistes for preserving India’s folk art forms and traditions. 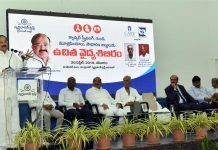 Calling India a fragrant bouquet of diverse cultures, Shri Naidu said that the performances by the artistes had further enriched this diversity. “Our traditional skills, literature, music, poetry and sculpture represent the zest for life inherent in our folk traditions. These art forms are the living testimony of our creativity of our ancestors”.